I am blessed and privileged to welcome Pascale Lévesque in the Mac customers family. For over 15 years, Pascale Lévesque worked with several magazines and publications. She photographed our favorite artists all around Quebec and worldwide. 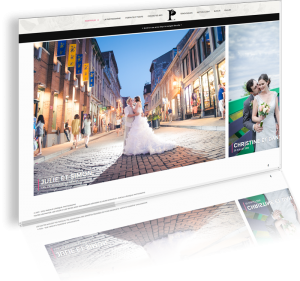 Specialized in events, portraits of artists and entertainment, Pascale Lévesque is now shifting mainly towards weddings, destination weddings, maternity and your family. Creative and professional, Pascale Lévesque has a unique way of working. She will capture that little something special from you. Now that her logo is done, we collaborate in completing her new website. Do not miss the launch in the coming weeks.